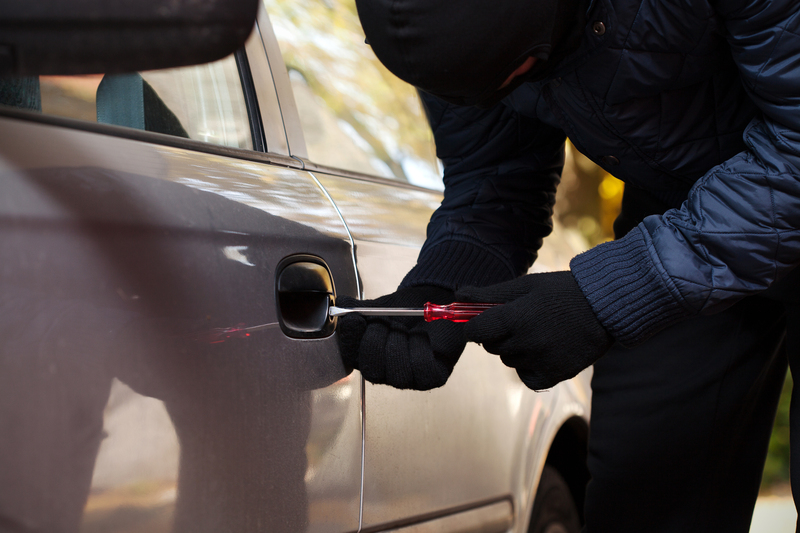 According to the U.S. Department of Justice, a car is stolen every 44 seconds in the US. Half of these cars are never recovered and the other half often turn up stripped or damaged. 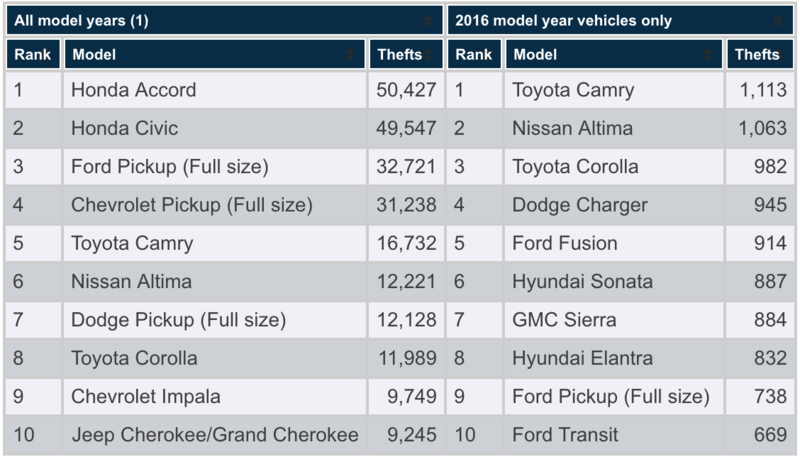 The cost of all these stolen vehicles to consumers nationwide is $4.9 billion annually. 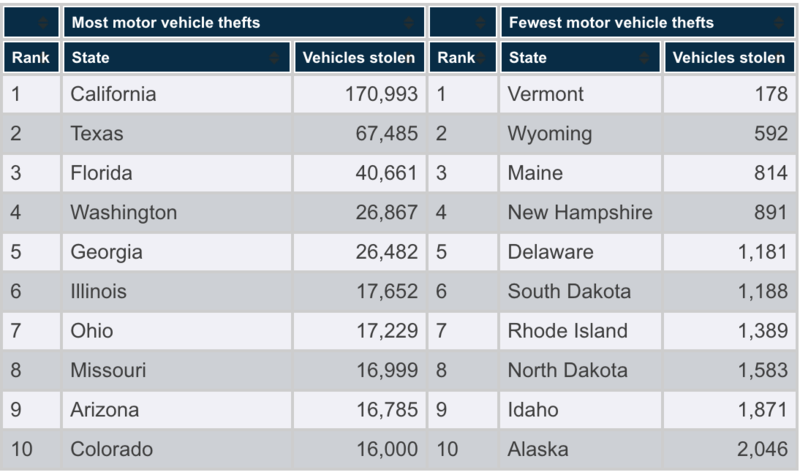 Fortunately, car thefts have been decreasing since they peaked in 1991. Though it is unlikely that your car will be stolen, it’s smart to be aware of the problem and the different ways to prevent car theft. (1) Includes all model years for each vehicle. Keep track of your keys. If you hide a key in or around your car, don’t. It may be inconvenient when you misplace your keys and can’t get into your car, but this pales in comparison to the trouble you will go through trying to recover your car if it is stolen. Secure your car. Anytime your car is parked – whether in your garage, work parking lot, or drive way – always leave it locked. It is a common practice for some to leave their car unlocked to prevent their windows from being smashed by someone attempting entry, but this only makes your car more vulnerable to car theft. Always leave your car locked with the windows tightly shut. It can also be tempting during the cold winter months to leave your car unattended while it’s running to warm it up but you are also putting your car at risk and making it an easy target for thieves. Park smart. Whenever you need to park your car, park in a populated and well-lit area. This will not only keep your car safer from criminals, but it will keep you safe as well while you are getting in and out of your car. If you do need to park in an isolated garage, park as close to an attendant or security camera as possible. If you park at home in a garage, make sure to keep your garage secured and locked. Hide valuables. Even better, don’t leave valuables in your car. Valuables visible to passersby give incentive to break into your vehicle when they otherwise may not have. This could lead then lead to the theft of your vehicle. If you must leave them in your car, place them in the trunk but beware, this still doesn’t make them entirely safe. Security Systems. If you don’t have one already, you can install an anti-theft device or security system in your vehicle. Thieves are generally looking for the easy steal and even a simple alarm may be enough to deter them. You may also want to consider a vehicle recovery system in the case that your car is stolen, especially if you live in one of the states with the most thefts. Despite following these tips, car theft is still an issue that costs consumers billions of dollars every year. You can follow all the steps to prevent car theft but make sure you are covered just in case it happens to you. Get a quote for the right insurance for the right price today with SafeAuto. Car Racing Fans Speak Up … and NASCAR Listens!